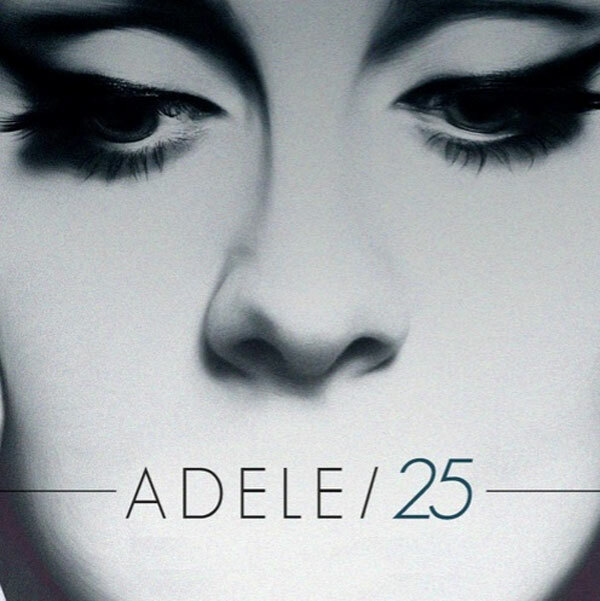 Everyone knew that Adele was recording this album and she'd even hinted that it was going to be released soon, when she posted the following Tweet on her official Twitter account in May 2014: '@OfficialAdele Bye bye 25... See you again later in the year x'. Her fans were willing her to create something amazing, and nobody has been disappointed so far. Following her previous two albums 19 (released in 2008) and 21 (released in 2011), 25 has been nothing short of an international phenomenon. The single 'Hello' was released on 23rd October 2015 and quickly topped the global charts, while its video set YouTube records, becoming the quickest YouTube video ever to reach one billion views. Within less then a month, Adele's 25 album had sold in excess of 15 million copies worldwide and many fans believe that it is partly responsible for so many people choosing to by physical copies of CDs once more, rather than downloading the tracks online via iTunes. This album was named after her age at the time of recording and took approximately four years to create, with Sony Music ploughing around US$4 million into the album tracks to get them right. Adele had already scrapped a whole album's worth of songs about motherhood because she thought they were boring and not good enough for her fans, and she publicly said that she had been disappointed in her rather expensive song-writing sessions with Phil Collins and Damon Albarn (off of Blur). Apparently Adele found this album difficult to write because she is so happy at the moment, with her long term partner Simon Konecki and their baby boy Angelo. Previously her best-selling tracks have been the result of difficult relationships and break-ups. Glad that you are in such a happy place now Adele, and hopefully this won't be your last album as people are suggesting it might be.